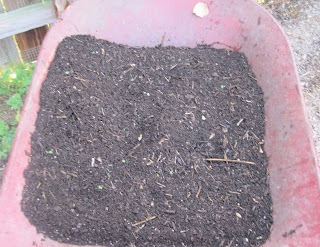 My beautiful compost in my red wheelbarrow. It is December 12, 2012 and our thoughts turn to fertilizer, as they really should. One year ago, I looked forward to today and decided that we should proclaim it International Fertilizer Day. And now the day has arrived! If you are a gardener who has read much about gardening through the years, you probably recognize that 12-12-12, "triple 12", was once a common fertilizer recommendation, and in some gardening circles, it still is. If you are not a gardener, you probably don't associate Dec. 12, 2012 with fertilizer, as I found out by asking a few non-gardeners. Oh my, the blank stares. The "she really is touched in the head" looks I got when I asked "What does 12-12-12 make you think of". No one answered "fertilizer". Oh, well. Let us go on without them to celebrate all things fertilizer today. To start with, please know that by proclaiming 12-12-12 as International Fertilizer Day I am not endorsing, promoting, suggesting or advocating that 12-12-12 fertilizer is the be all, end all, best all fertilizer for gardeners. In fact, I will confess that I am lackadaisical gardener when it comes to fertilizer. I don't tend to use much additional fertilizer. 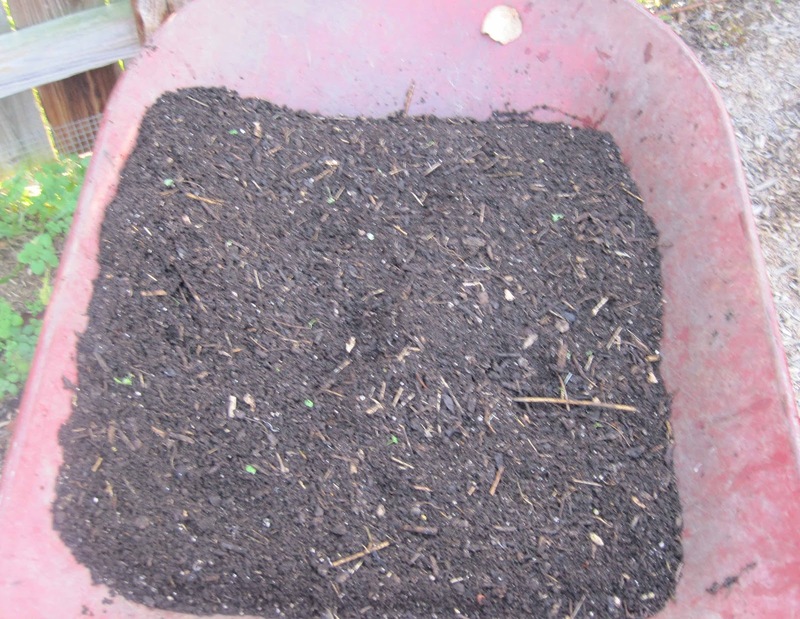 I mostly just try to add some good compost to my garden beds and borders when I have compost available. I am also not much of a zealot when it comes to soil testing to determine what fertilizer my garden needs. I would, however, have my soil tested if I lived and gardened someplace where it was possible for my soil to be contaminated with heavy metals or I thought that my plants were growing poorly. I am somewhat of a grow and let grow kind of gardener. In my garage, which often looks like an attached garden shed on the inside because it is where I keep the hoe collection, you'll find a few bags of organic fertilizer, which I try to remember to use from time to time. See above about lackadaisical. But even though I don't use Triple 12 fertilizers and am lackadaisical about fertilizing my plants, I can still proclaim today, 12-12-12, as International Fertilizer Day. May I humbly suggest that you use this day to consider your fertilizing habits and perhaps confess your own fertilizing sins? Promise to do better for your garden when it comes to fertilizer. Then go out and enjoy the rest of the day. 12-12-12. Just the mention of it makes our thoughts turn to fertilizer, doesn't it? Doesn't it? Fertilizing sins? LOL I think I will go dump some compost over the roses. See, you made me think about it on this 12-12-12 although I usually use 10-10-10 if I go inorganic. I think this is a perfect day 12-12-12 to be called National Fertlizer Day. Numbers are interesting....today's especially. It will be a very long time before another such date will occur. Is there one before 2-2-2222 which is in 210 years. In my garden I use only compost with a few exceptions. I use osmocote in my containers and also a little bulb food for the bulbs when they are first planted. In the spring I might sneak a little 10-10-10 to the roses. All very unscientific, I'm afraid. I find it amusing and almost painful to hear people talk about 12/12/12. Because for me every time I think of 12-12-12, I think of fertilizer. I think I have loaded and unloaded hundreds of tons of it all in 80 pound bags and all by myself. I didn't even realize it was 12-12-12 until after 12:00 yesterday, and I must admit fertilizer didn't pop into my mind at the time:) I use fertilizer on my annuals in the summer, but I'm a lackadaisical gardener, too. I think I've had the same container for three years now:) But I do love compost! I grew up with 10-10-10 based on recommendation from Jim Crockett of the first Victory Garden host. It was what I used for years until foliar apps of Miracl-Gro. Quite convenient. In college we were fed-up with NPK computations, but now i forget about that until you mentioned it, and i laughed a lot at your meaning! In my garden i don't use inorganic anymore because we have lots of compost from the animals and they do wonders to our plants even if i didn't compute the NPK there, hahaha! The subject of fertilizers is a bit of a cantankerous subject with me. The NPK rating of 12-12-12 is obviously a synthetic fertilizer. Compost and organic fertilizers with low NPK ratings are my fertilizers of preference. We have to stop dumping more toxins into our environment. The "M" word is considered a swear word from where I grow.